Welcome to our latest newsletter, we hope that you've had a good week both on and off the golf course and at last we've had some much needed cold but dry weather this week. Who are the Winter League semi-finalists? Round 8 of the Winter League was played on Sunday and it's a testament to the hard work of our green keepers that all eight rounds have been played despite a very wet winter period when many courses fixture lists have been decimated. With plenty of pairs still in contention it was Antony Green and Dave Johnson that raised their games with the semi-final spots up for grabs as they scored a brilliant 25 point total including three birdies. Pete Wildin and Ken Powell also wanted to claim a semi-final spot and their 24 point score took them to second place, in third were Andy Dodd and Alan Royle with 23 points. Steve Holehouse had a bit of help on the eight hole, it looks like our friendly ducks were trying to show him where the fairway is! Best of luck to the remaining four pairs, who will get their names on this famous board next? 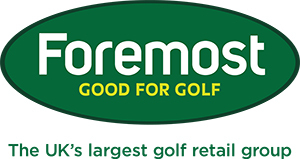 We had a visit from the Golf Guide magazines Paul Lambert last week, it was good to get Paul in to show him how what we can offer in terms of custom fitting and helping a golfer to improve their game. Paul is a fairly typical golfer who is one of the 60% of golfers that has never taken part in a custom fitting session, he was reasonably happy with his equipment but said that his game was very inconsistent and he was looking for more accuracy also he didn't own a driver as every time he did try one he had no idea where the ball would go! After hitting his own clubs we soon noticed a few things - Paul had a very quick swing and the shafts he was using weren't stiff or heavy enough and he hit a very high ball flight which robbed him of distance especially when playing into the wind. 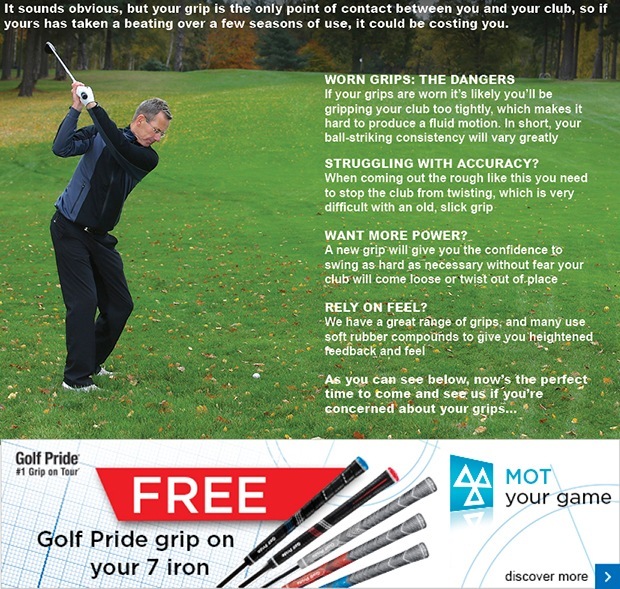 The solution was a stiffer shaft and we also recommended a 'tour loft' iron so the ball flight would be lower. In the end we got Paul to go from hitting a 7 iron 161 yards to 174 yards with the Callaway Apex Pro - but more importantly through the firmer shaft and the correct club set up he had more control of the ball flight and was hitting much straighter shots. The thing to remember is that many people are put off a custom fitting session because they think it will be a very expensive process - the truth is you can actually save money! Paul is a typical golfer but he needs a far from standard set of clubs - he needs a stiff shaft, longer length, more upright lie angle, a thicker grip and a stronger loft on his irons - yet despite all these changes these custom made clubs won't cost any more than a standard set. In fact we recommended Paul just got a six iron set from 5-PW, if he had bought a set off the shelf he would pay more as the standard set includes a 4 iron - which he would never use! The next challenge was to get Paul to hit a driver that he could actually have enough confidence with to use on the golf course, after seeing Paul hit iron shots it was pretty simple to us - we gave him a stiff fairly heavy shaft in a driver that is designed to promote a low launch lower spin ball flight and we set it to draw to protect against his fade. The results were phenomenal - with the Callaway Big Bertha Alpha driver Paul ripped his first six shots as straight as an arrow and with an average distance of 280 yards, after this Paul had a grin on his face like a Cheshire Cat - and our job was done! To book your custom fitting session and see results like this click here. There are yet more new arrivals in the shop - the new PING G series has now landed in store as well as the new Nike Vapor Fly woods and irons, we have demo clubs available for all these new ranges. 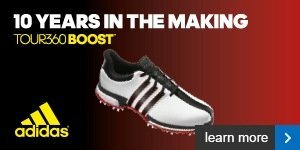 Also look out for the new Benross 2016 range of clubs to be arriving in the shop very soon as well as new shoe ranges from Skechers and the long awaited first batch of Under Armour golf shoes are due in at the end of March. Have a look at this cool video when Bubba Watson got to try the new PING driver, you might not hit it 349 yards like him but the chances are it could give you a bit more distance - call in and try it to find out! Also new to arrive this week are the new FootJoy DNA 2.0 shoes, DNA stands for DryJoys Next Advancement and last year's model was one of our best selling in the shop - FootJoy shoes are known for their comfort and quality and these shoes are no different. Remember also that we can measure your foot size with our Brannock device and make sure you get just the right pair. To mark the arrival of the new DNA's we have a great offer - the first nine pairs purchased come with a FREE limited edition FootJoy shoe bag to keep them in. We felt very privileged last week to have a visit from our Titleist rep with a bag full of not yet released clubs - we got a sneak peek of the new Titleist SM6 wedges and the new Scotty Cameron putter designs that are all due out in about another month's time. We were talked through the new technology involved in the wedges including a never used before progressive centre of gravity location to provide even better distance gapping and up to 200 rpm more spin through a new sharper and more consistent TX4 groove design. Then we were shown how to carry out a full wedge fitting for a golfer in terms of getting the right loft and grinds to give correct distance gaps within a set, we then got to try the new wedges out on the range and we were all very impressed to say the least! It was interesting to hear about Bob Vokey's huge passion for wedge design and that all the different grind options are named after famous golfers he has worked with including Tom Kite, Phil Mickelson and Steve Stricker. We were also talked through the new Scotty Cameron putter range, much like the wedges Titleist are working with someone in Scotty Cameron who is completely devoted to putter design and the art of putting, interestingly he has designed putters exclusively for Titleist since 1994 at which time there were six major golf companies battling it out to sign him to a lucrative contract! A total of 31 majors have been won by players using Scotty Cameron putters including Tiger Woods, Phil Mickelson, Jordan Spieth and Rory McIlroy - not a bad group of players! Look out for the new putters in the shop next month. As a Titleist fitting partner we will be a Vokey Pro stockist which means that we will have a bag full of 24 demo SM6 wedges in various lofts, finishes and grinds and armed with our new wedge fitting knowledge we can give you the best possible custom fitting wedge experience. 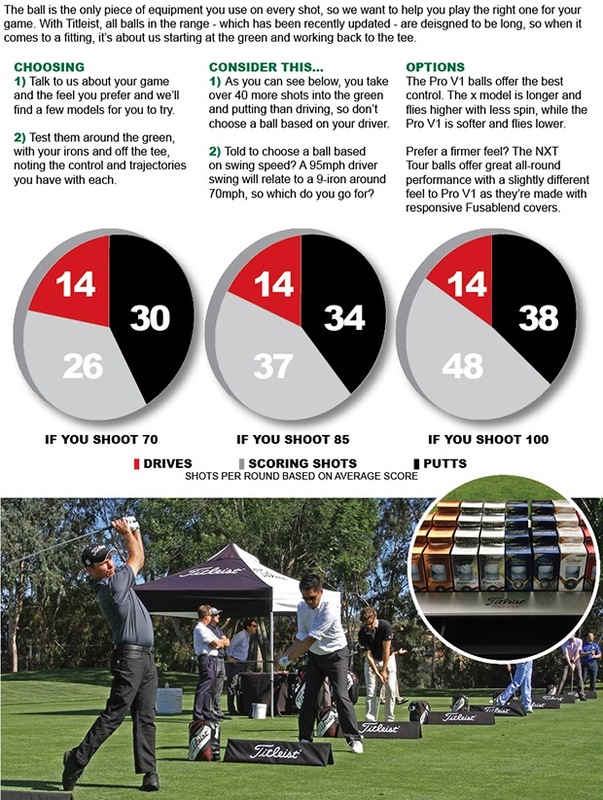 If you would like to book a wedge fitting slot please click here. The ladies played a cold but dry nine Stableford last Thursday - the winner was 21 handicapper Ann Broster with a 17 point score, in second place was Elspeth Forbes on 16 points and in third place was Jean Jones (15 points) who is obviously using her new clubs to good effect. There is an eighteen hole ladies Stableford coming up this Sunday afternoon, also remember that it's not too late for lady members to enter the Spring Knockout Trophy, the entry sheet is on the notice board. The seniors played a yellow ball nine hole competition on Tuesday, the winning team were Alan Nevin, Alan Taylor, Pete Wildin and Paul Frost. Next week the seniors play an 18 hole Stableford.